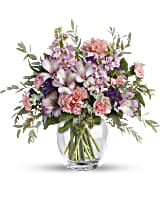 Oh so soft and divinely delicate, this perfect pastel bouquet is pretty as can be. 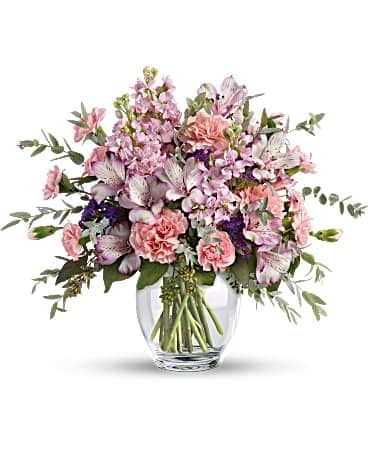 Delivered in a classic ginger jar, the graceful arrangement of alstroemeria, carnations and stock is a welcome surprise on any occasion. 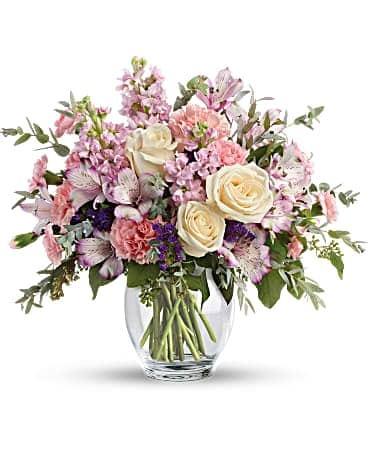 Oh so soft and divinely delicate, this perfect pastel bouquet is pretty as can be. 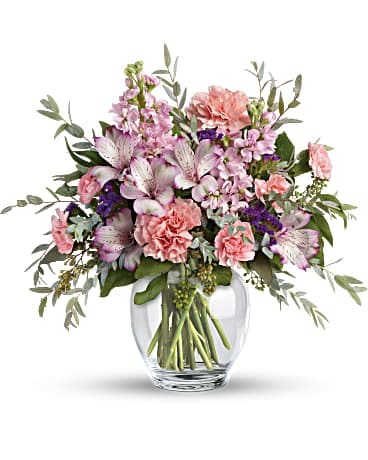 Delivered in a classic ginger jar, the graceful arrangement of roses, alstroemeria, carnations and stock is a welcome surprise on any occasion.